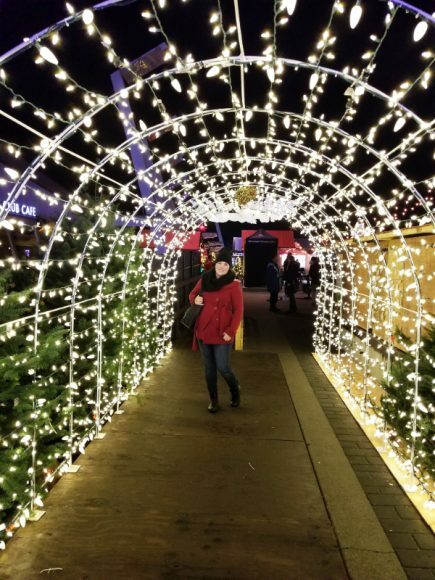 The Vancouver Christmas Market just got even more magical! 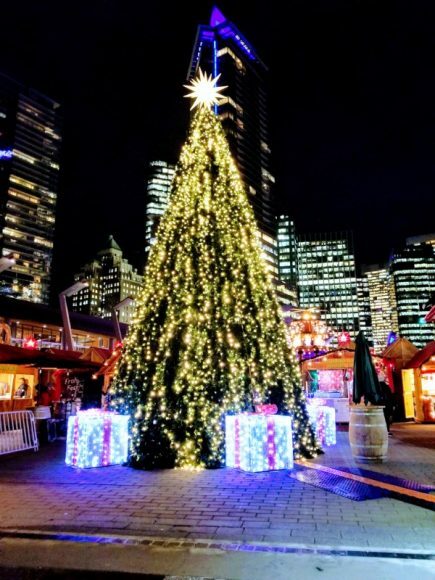 Vancouver’s beloved Christmas Market returns to Jack Poole Plaza with more activities and over 55,000 sq.ft of German Jubilation. 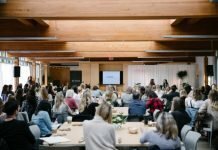 The Vancouver Christmas Market will be bringing the Christmas magic from November 21st to December 24th. Operating under the new hours of 11:30am to 9:30pm, you’ll have even more time to enjoy over 80 huts stuffed with sweets, treats, and treasures. 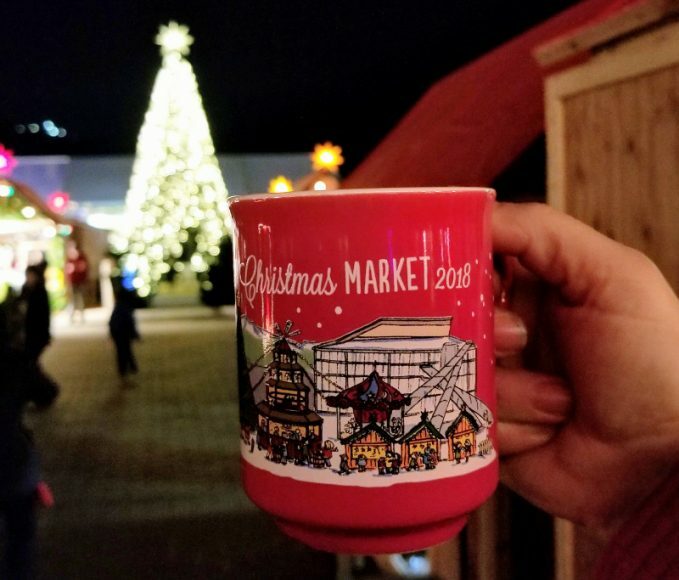 This year, the Vancouver Christmas market is proud to showcase the cozy heated Alpine Lounge where visitors will be able to relax and enjoy hot beverages while enjoying delicious food. 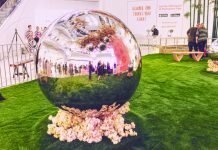 Can we talk about all the Instagrammable places at The Vancouver Christmas Market for a moment? Don’t stop there, make your way to the new Winterdeck located beside the Alpine Lounge. 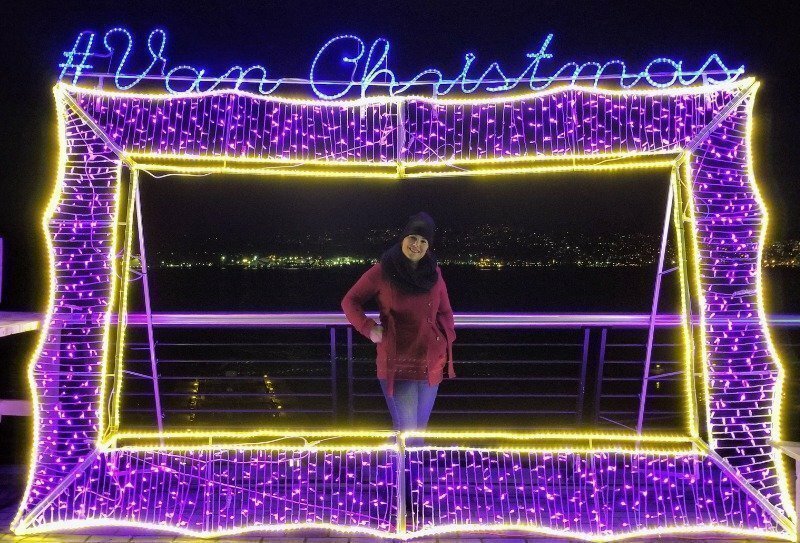 The Winterdeck features a giant lit up picture frame with stunning views of the North Shore. Why not check out Lovers’ Lane – a 30-foot long tunnel with 10,000 twinkling lights? The Vancouver Christmas Market is most known for its signature array of mouth-watering delectables. Be sure to enjoy Glühwein (a hot-spiced mulled wine), German Bratwurst, Gulasch, Spätzle, Schnitzel, Strudels, and a selection of German beer. One of my favourite parts of the Vancouver Christmas Market is all the kid-friendly activities. Check out the new Kinder Kraft Igloo sponsored by 4Cats Arts Studio. Don’t stop there, The Santa Photo Hut is returning alongside with cookie decorating for kids. Make a donation to the Children’s Wish Foundation to help raise $10,000 to make a deserving child’s wish come true. This special day will feature one-day-only deals at gift vendors throughout the market. 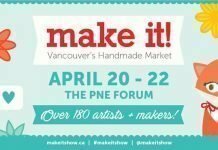 Enjoy bites and beverages from select vendors that are $4 and under. Every Thursday, join us for some after-work drinks, later market hours with some of Vancouver’s coolest DJs and karaoke in the Alpine Lounge. Youth (13 and under) will be able to enter the market and enjoy rides on the Christmas Carousel by providing a donation to Children’s Wish Foundation. It looks so good!! I would love to go with the fam on Dec 5th. Kinder Kraft igloo sounds amazing. I have a 5 year old who LOVES crafts. I have never gone and I don’t know why! But the foodie Tuesday or kids day would be my top two choices! Take the littles and just watch their faces light up and definetly some good spots for photos! Thanks for sharing all the info and the great pictures. I’d love to attend this on the last Saturday before Christmas and avoid all the craziness of last minute shopping. It would be great to just spend time with my family, after all that is what Christmas is truly about! Love to go Childrens Wish Week and to check out Lover’s Lane. December 10th is when I plan on going!!! I would go on any saturday! I would love to attend on December 18, 19 or 20. 🙂 I love the location and ambiance of the Christmas market as much as the nice German handcrafts . Hi! We would like to attend the Friday free carrousel rides for December 7! Last winter we attended and my one and a half-year-old daughter cried when we did our one spin around the carrousel. She really wanted to ride more but we only had enough to pay for one carrousel ride. I hope this year we can attend and take advantage of the free carrousel rides as that I’m sure will make my daughters night and mine! Also, because it’s friday my husband can get off work early to join us in the family fun! We have no holiday plans and hopefully we can attend this year to create some new Christmas 2018 memories together ♥️ Thank you! !